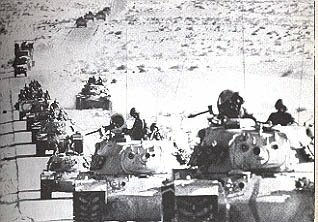 They tried it in the wake of the Yom Kippur War, when in October 1973 Egyptian forces, backed by the Russians, attacked Israeli-occupied territory on the east bank of the Suez Canal on the holiest day of the Jewish calendar, bringing chaos to the global oil market. When the price of oil quadrupled overnight, threatening chaos to western economies, Jean Monnet saw an opportunity to develop a common European energy policy amongst the then nine countries of the EEC. It was not to be, though, with the Nine breaking ranks, each rushing to strike individual deals with the oil sheiks, leading Ted Heath later to write that, at this moment, the Community "lost sight of the philosophy of Jean Monnet: that the Community exists to find common solutions to common problems". Monnet saw in this a need to strengthen community institutions, "enabling our countries to organise themselves for collective action", an ethos which has driven European integration to this day. But, with the Russian gas crisis, the idea of common action has re-emerged with force, the commission again seeking the opportunity – thwarted by the French and Dutch rejection of the EU constitution – to forge a European energy policy. The commission wants action under four main heads: action to manage demand, by increasing energy efficiency; diversification of “European” sources, with a reconsideration of nuclear energy and greater reliance on renewable energy sources; streamlining the internal energy market, pushing the “liberalisation” of the electricity and gas markets; and “controlling external supply”. …the EU must enter into strategic partnerships with major potential suppliers such as Russia and even far-off countries such as Iran. It must promote dialogue with its immediate neighbours with the aim of integrating the available electricity and natural gas networks so as to guarantee better security of supply. The EU must maintain structured dialogue with oil-producing countries so as to ensure prices stay stable. And therein lies the devil of the plan. As with external trade, where the EU negotiates on behalf of all 25 member states – with the disastrous results that we saw in the recent WTO talks – the EU wants to take over responsibility for securing energy supplies from the individual member states. Of course, it will not happen – yet – but the experience of 1973 tells us that the commission never forgets, and never gives up. It thrives on crises, whether terrorism, natural disasters, food safety or, in this case, energy problems, forever seeking to advance its own agenda on the back of whatever problem happens to be in the headlines. And here we go again, with that same cynical opportunism that Monnet was quick to harness. To the EU, every crisis is an opportunity, to the extent that the driving force of integration is what we have come to term "the beneficial crisis".